When I moved here to DC, Elisa thought that I while living here, I would probably on some occasion be in the same room as President Obama. I didn’t really think she was right, and I still think it is unlikely to happen, but last week I actually got an invitation to the US Department of State for a signing ceremony with Secretary of State Hillary Rodham Clinton. 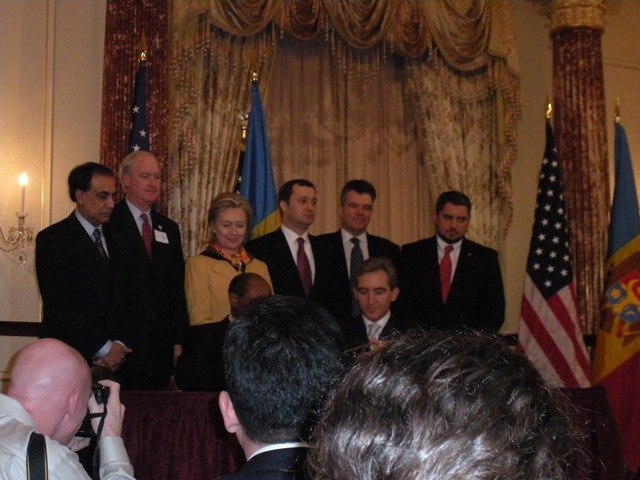 The signing was for the MCC Compact between the US and Moldova of a value of US$ 262 million. It will finance of roads and investments in high value agriculture, including irrigation. I was invited because I have been in contact the US team during the preparation of the ag.project. 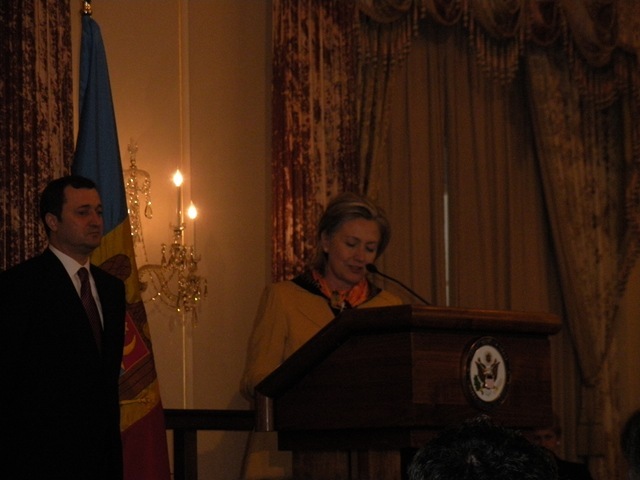 There with Mrs. Clinton was also Moldova’s Prime Minister Vlad Filat and a number of ministers from the Moldovan Government, and of course the MCC Chief Executive Officer Daniel Yohannes, the MCC US and Moldovan Teams, and many others. 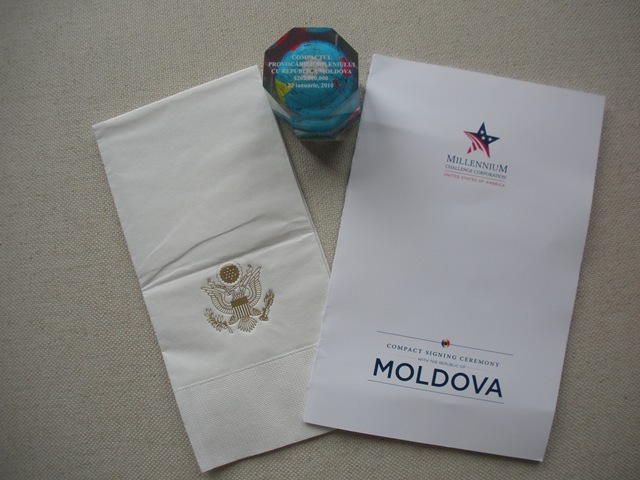 I am really glad that this Compact is finally signed because Moldova really needs more investments, and I am glad that I was invited to see it. 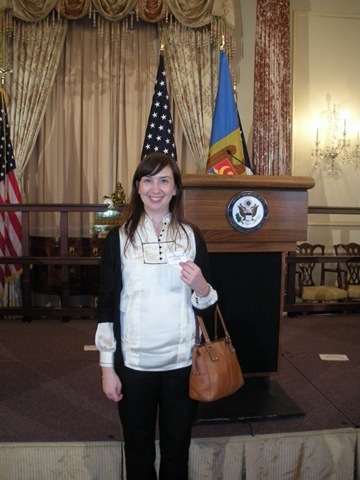 It was also really fun to see the inside of the State Department. 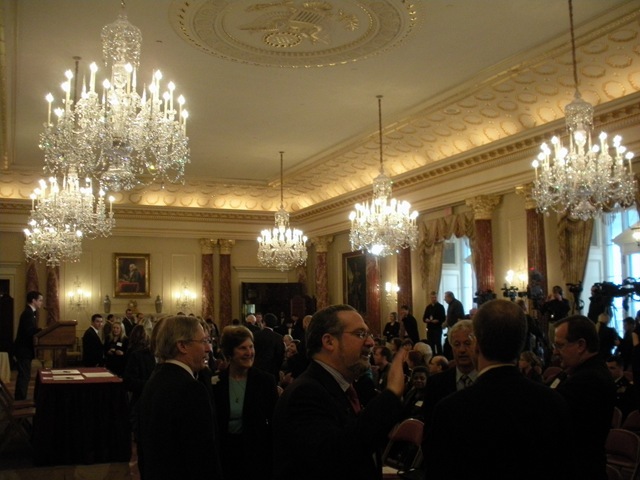 The signing ceremony took place in the Benjamin Franklin Room and there were several rooms around which were amazing, with old paintings and furniture (for example Thomas Jefferson’s desk), sets of china from places far away, and lots of other old items from all over the world. Even the restrooms were incredibly pretty. Before leaving, we got a little gift as a memory of the ceremony. So it was a great experience!